I'm going to share with you another food store in Archer's Place - Handuraw Pizza! 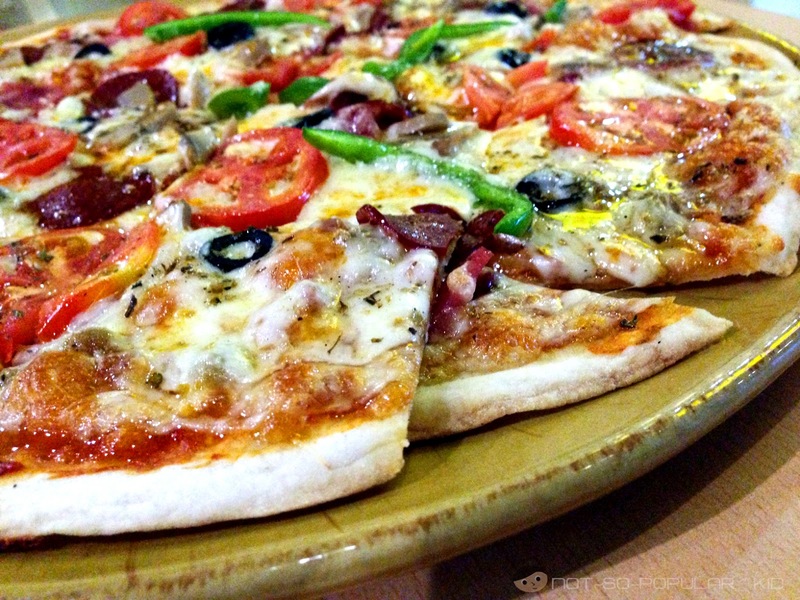 Around DLSU, there are just 2 major restaurants/food stores that offer pizzas. The first one is Papa John's while the other one is this. 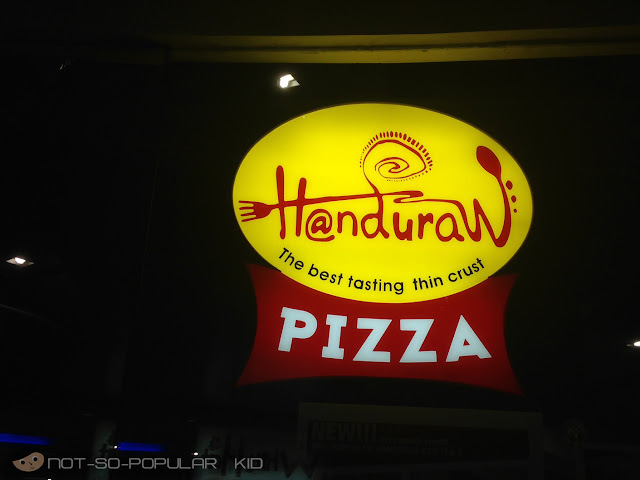 But, if you are looking for think crust pizzas, you definitely should try Handuraw! 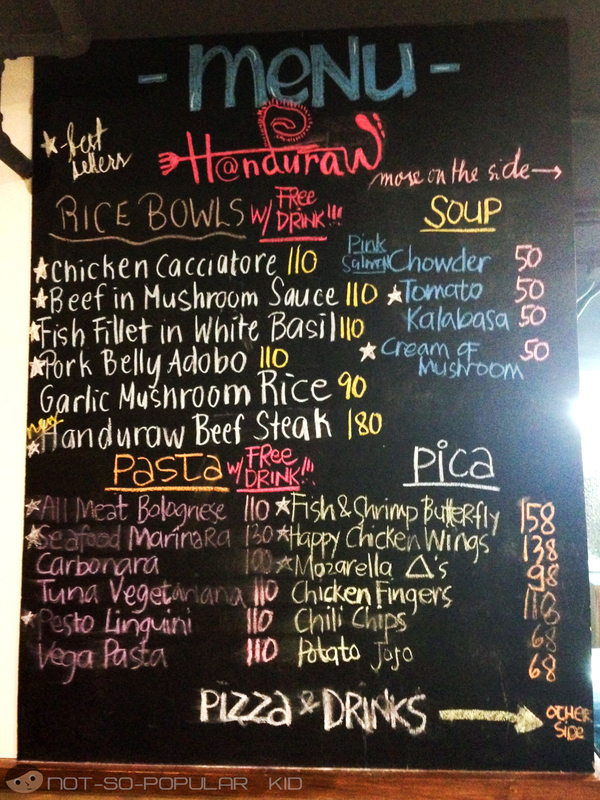 Handuraw Menu for Pasta, Rice Bowls, Etc. I've noticed that the prices aren't that high, but they aren't so low either. So, let the experience tell you if it will be worth it or not. But, in order to help you assess that beforehand, I will share with you mine. Looks dashing right? How about taking a closer view? When we took our first bite, we had similar facial expressions - delight! 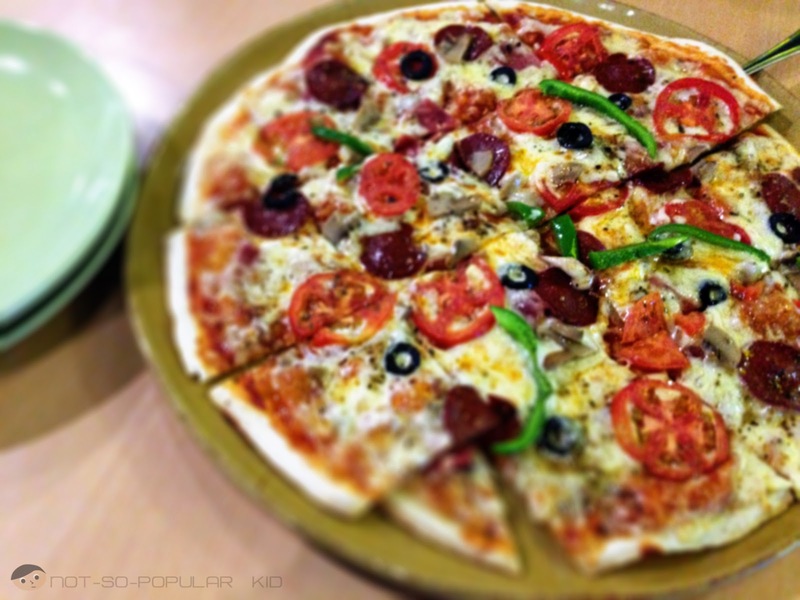 All the chosen toppings created an enjoyable play of flavors that make you go Ooh-la-la! And the thinness of the crust enabled us to really enjoy and delve on the complexity of the flavors. 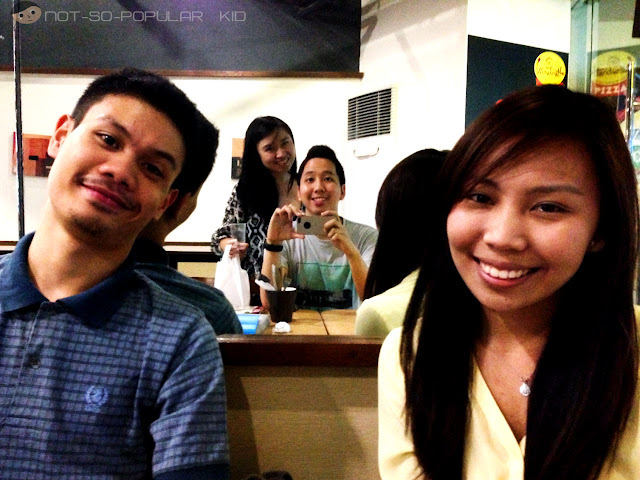 However, although this was able to really give us an adventure, it wasn't able to satisfy our hunger. 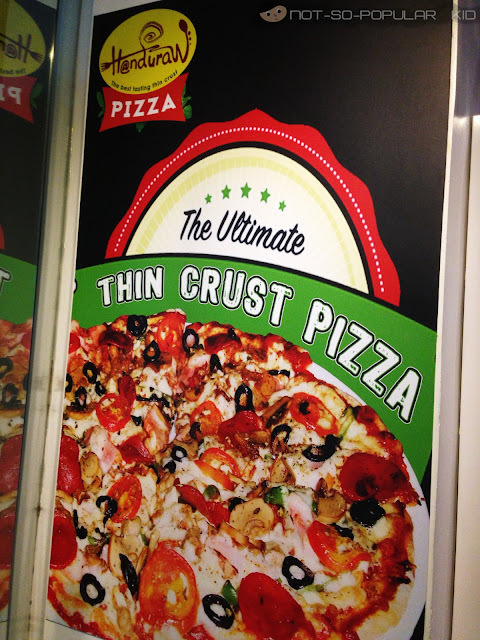 This means that a pizza alone won't make you that full. 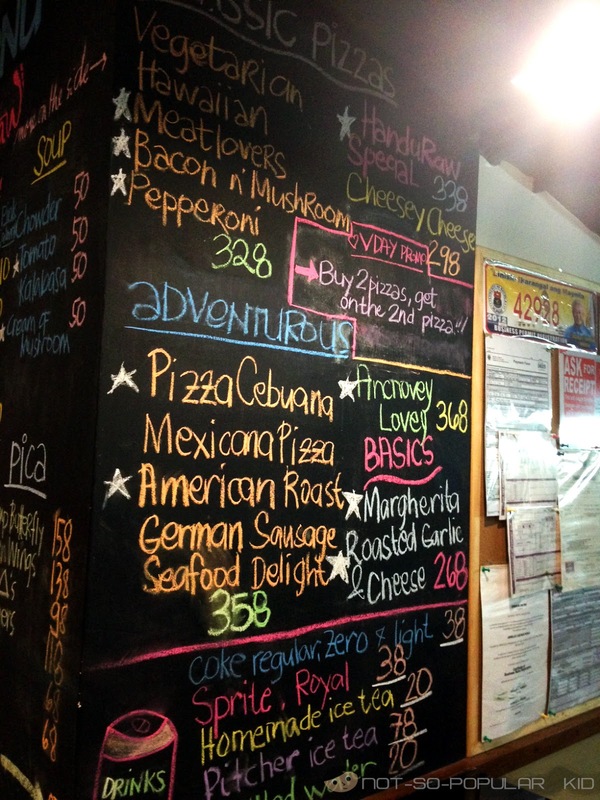 You may need to order 2 pizzas or pair your pizza with some pasta dishes. By the way, to give you a better idea of how many dishes you should order, 3 of us (Mika, JD and I) shared for the Handuraw Special Pizza. Again, I will reiterate that if you are after something special (in terms of the taste), you should try Handuraw! 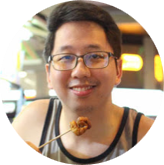 But, if you just want to satisfy your hunger, you may want to try something else, or be willing to spend a little more here in Handuraw. So, there! I hope you enjoyed this blog post! 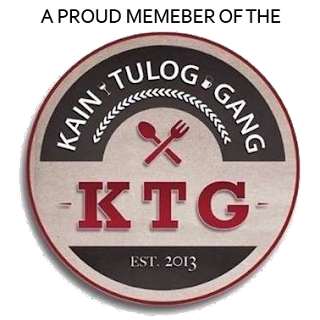 Don't forget to leave comments to share your experience here. I will be glad to hear from you.